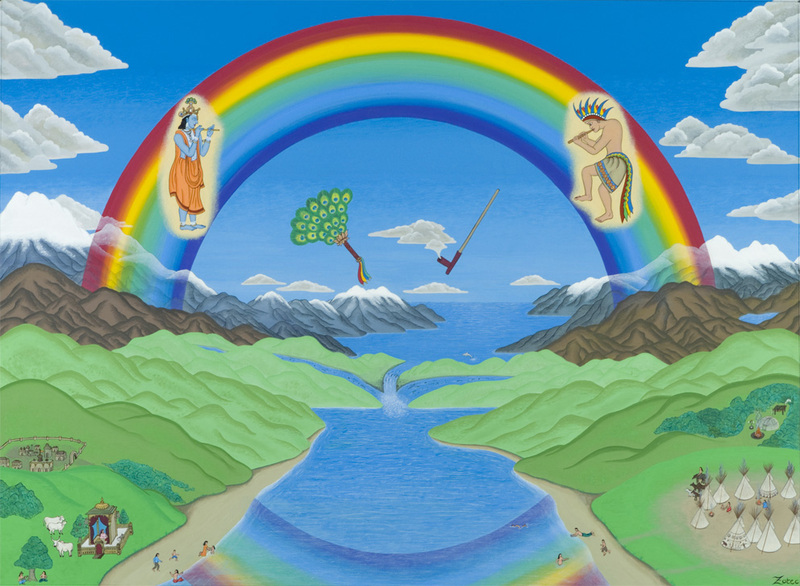 This image depicts the harmonious meeting of the spiritual traditions of East and West, symbolised by the flute players Krishna and Kokopelli ascending the rainbow bridge together. The healing spectrum of light is reflected in the water below, which symbolises the point of manifestation of this emerging harmony into the physical world. The people are bathing themselves to receive the blessings of the divine light and music that unites the world.